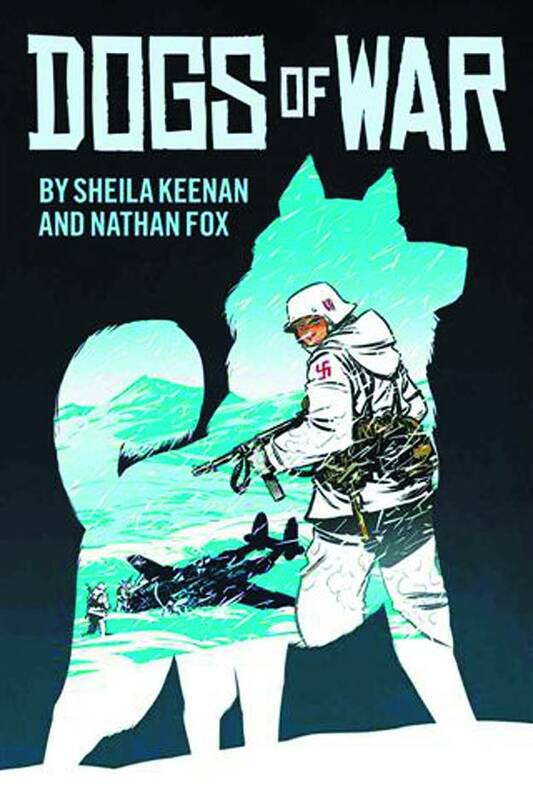 Dogs of War is a graphic novel that tells the stories of the canine military heroes of World War I, World War II, and the Vietnam War. This collection of three fictional stories was inspired by historic battles and real military practice, and each story tells the heroic adventures of a soldier and his service dog. Based on the real-life roles of military dogs that served as Red Cross rescuers, messengers, scouts, search-and-rescue teams, sentries, and mascots, Dogs of War captures both the adventure and the devastation brought on by war, as well as the celebrations of life and friendship between boys and their dogs. Ok, so this might seem like a strange pick for me; a semi historical war story about the friendship between man and animal--and we're not even talkin' cats here! No, the reason I'm pimping this is because Nathan Fox, the master of gradients and Paul Pope like brushstrokes brings his vast talents to a genre that does not fall within his usual realm of work. I love it when artists whose style may not seem applicable to a certain story as it makes for strange and sometimes perfect bedfellows. Plus, Y'know, there are cuddly dogs and sh*t.